A vibrant history and a bright future complement each other at the Rialto theatre. Whether you are coming out for the latest movie or a live event, we provide memories which stick with you. For many years, the Rialto was the domain of Lou Smithgall Anderson. Several generations of small Cantonians had their first “window on the world”, along with lessons in the art of behaving in public, at the Rialto on Saturday afternoons. The Lou Smithgall Museum located in the Theatre creates a space of memories and memorabilia of Lou Smithgall Anderson’s time as owner and operator of the Rialto. In 1994, the Bradford County Regional Arts Council (BCRAC) purchased the Rialto Theatre, and in less than one year, a major renovation transformed the Rialto into a fully operational movie theatre again, complete with surround sound stereo, a new platter movie projection system, new seating, along with new heating and air conditioning units. These renovations were fully funded by Canton community support. 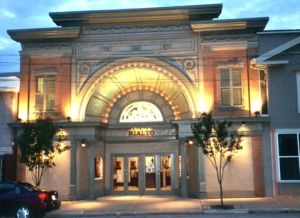 The Rialto offers premiere movies, film festivals, live entertainment on stage ranging from classical to country as well as organizations using the Rialto for lecture series, meetings and much more. 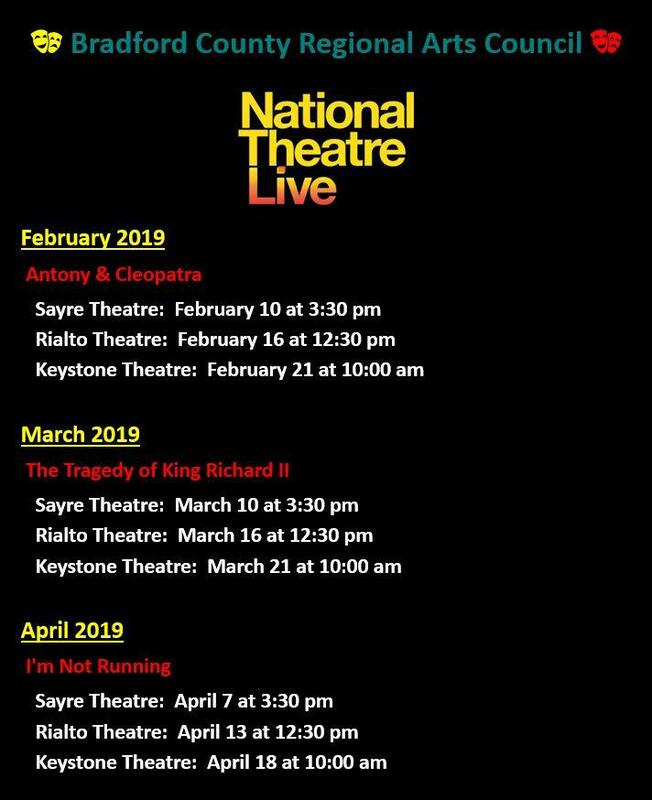 The “Thursdays at the Rialto” live performance series includes a variety of artists and musicians – offering a diverse series of 4 concerts, documentaries, and National Theatre Live productions. The Rialto has an active community-based Advisory Committee that organizes and works at events to help raise funds that go to maintain and repair the historic Rialto Theatre. For more information on these events and the Rialto Theatre itself, please visit the BCRAC movie website at www.bradfrodcountymovies.com.